With the arrival of good weather it has also reached to Dársena Can Barbarà, La Rosa del Mar, our new Mediterranean author's cuisine restaurant. 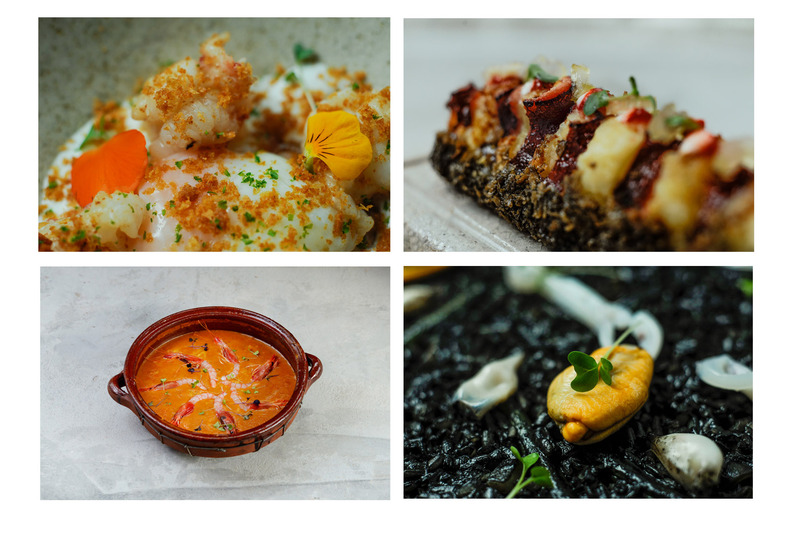 The original proposal of chef Paco Urbano and his team is a homage to the Mediterranean product with a cosmopolitan twist that we love, like its gyozas with garlic or its version of Ceviche with prawn from Sóller, that doesn't forget the Majorcan essence or the Andalusian roots of its creator. Proof of it is its inseparable 'salmorejo' of beet, a master piece of color, with flavors and textures that surprise and will make you fall in love equally, or their tasty shrimp pancakes, so typical from the south of Spain. Charcoal grilled meat, together with the kitchen at low temperature and a careful selection of rice dishes & paellas complete their fascinating gastronomic offer, which together with a sober and warm interior, work of the unmistakable and great Juan Chito, transport us to a world of unique and unrepeatable sensations. Chapter apart deserve the wine menu, which collects almost a hundred references, including of course the best wines of the island made with varieties of native grape, as well as large wineries of the mainland and other famous corners of the world for its good wine making. In conclusion, La Rosa del Mar is an essential place for lovers of good food, authentic flavors and happiness without haste. Sunday: 1p.m to 4p.m / Monday closed.